Monster Hunter and The Red Pet Freezy! From Jan 13 to 16 the new Monster Hunter event will be back online! How many monsters can you hunt? Seize the chance to win the mystic pet Freezy! The Freezys, a race of elements from the Plane of Ice, are mysterious beings that have appeared in Aurora just recently. It is unclear why the Freezys have traversed to this world, but they have already made their homes in the tundras of the frozen north. While few can survive where the Freezys, they on the other hand can easily survive in warmer regions. The Freezys hold great mastery over the element of ice and can use their powers to freeze enemies in an instant. If you ever come across a field of frozen status, then a group of Freezys is most likely living nearby. Those status are what is left of the unfortunate invaders that trespass on Freezy territory. 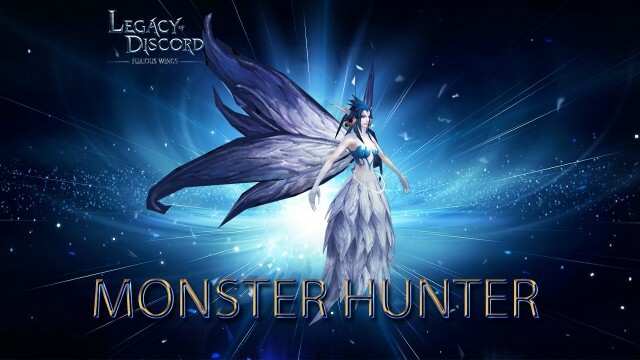 Play Legacy of Discord - Furious Wings now and participate in our special event to claim this powerful pet! Stay tuned for even more great content coming soon to one of the most popular free to play action RPG’s of 2016!